Snapchat can increase real-time engagement with your soccer tournament by tapping into the real-time energy and your teams’ FOMO (Fear Of Missing Out) Despite its beginnings as a teen-aged peer-to-peer network for questionable photos that would “disappear” after being viewed once, it has matured into a solid platform for showcasing a soccer tournament. 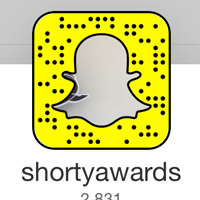 You access Snapchat exclusively through the mobile app, available on iOS and Android. Once you download the app, the interface can be confusing and unfamiliar, but this is by design. The kids don’t want the olds to be able to use it easily and intuitively. But once you figure it out, you’ll be snapping like a pro. Fortunately, Snapchat has a pretty detailed user guide. We’ll run down the basics for you to get you up and running. Let’s get you up and running. There is really no prep work needed for Snapchat as it assumes you will be using stuff that is happening now in front and behind you. The only think you will need is a unique email address for the tournament that you are not using for any of your personal Snapchat profiles. 1. Download the app and launch it. You can — and should — always add your snaps to your story and send them to your phone for archiving, but it is important to know that snaps disappear after being viewed. You should strive to create each snap as a self-contained mini story that has no history or future. Eventually, your continued snapping will build a story, but each user can and will dip in and out of your stream at will. Remember that and build around it. You can also follow tourneycentral on snapchat, but we will probably just be snapchatting you using snapchat! If we see you follow us, we will follow back. 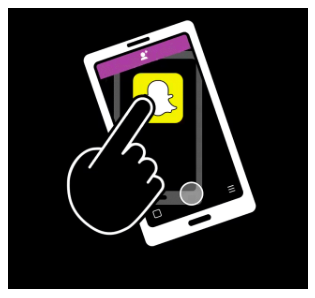 This page on snapchat.com shows you how to add by snapcode. 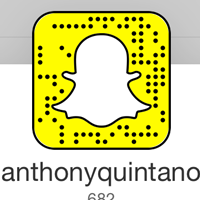 Basically, login, point your camera at the snapcode and hold down on the screen. 2. Watch the snapchatters for a few days to get a sense of their style, what you like and what you think you can adapt to your tournament event. You access their snaps by pressing on the purple square at the lower right corner of your login screen. If there are no snaps, you will see a “hamburger menu” with three lines. Are you getting the hang of the interface? It is a bit different — as a reminder, this is by design to frustrate older folks away from the app — but press on and the connection with your tournament audience will be incredible. As you watch the snapchatters above, you will see they use filters and geofilters (location/event overlays) video, slo-mo, reverse video, text and drawn overlays. 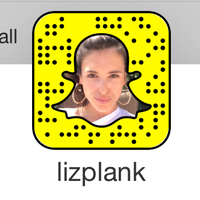 When you find yourself asking, “Hey, how did they do that?” navigate over to this page on snapchat.com and find out. 3. Get brave and start looking for folks who snapchat soccer and start adding them. Be sure to read our guide about building out your social media networks. 4. Publish your snapcode in a news item on the front page or as a sponsor on the sponsor page. By now, you should be ready to just dig in and start snapping. What to snap, what to snap? 1. Your snaps are a part of your tournament event and must be consistent with your brand. Will you use just one spokesperson on snapchat or will there be a team? Will you “tag team” the snaps or have pre-planned programming hours where one person hosts a block of time? 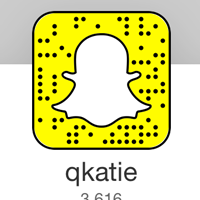 Will you invite guest teams to be “interviewed” on snapchat? There are no right answers, but you should think about this ahead of time. 2. Don’t be too programmed. Nobody likes being marketed to, especially on snapchat. If your audience senses you are “playing to a script,” they will drop you quickly. Just be yourself — or at least the self that is the tournament brand. 3. Design a day. 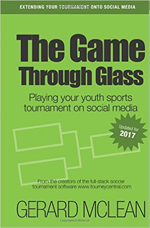 Tell mini-stories about your tournament as the day progresses, before during and after the tournament. Show what is it like to organize the paperwork for registration, schedule games and referees. Take snapchat out to the fields on prep day and show the field lining, the nets going up. Interview the volunteers. Have a sneak peek at the tshirts at the HQ tent. Show the picking process for the shirt pre-orders, the late-night pizza for the hard-working volunteers. 4. Show the activity behind the scenes. Your guest teams want to be invested in your success as a shared experience. Give them that, let them in on the know. 5. Invite your advertisers, vendors and sponsors to run a promotion on your snapchat stream. It could be as simple as producing a short video in real time with the vendor of a popcorn stand at the venue saying “Stop at the Kettle Korn stand at Grantham Park, show us the next snap with the promo code and get $1.00 off” then create a photo snap of the vendor’s logo from their booth with the promo code handwritten across it. 6. But mostly, have fun! 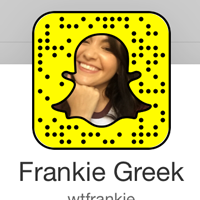 This is an excellent article about being a brand on Snapchat by Frankie Greek.